They say one is the loneliest number, and nowhere is that more true than with handguns. So Arsenal Firearms has created a double barrel .45 caliber handgun that delivers two simultaneous rounds every time you pull the triggers. 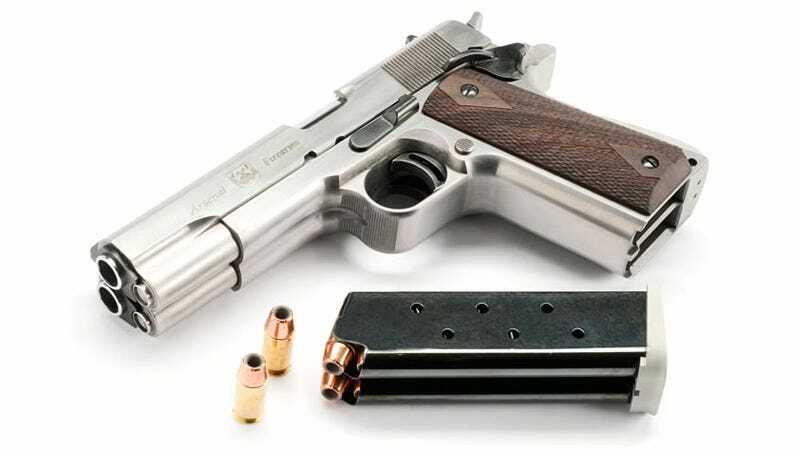 Besides looking considerably safer than just taping two handguns together, the AF2011-A1 has been engineered with custom parts and components that Arsenal Firearms claims makes it extremely accurate. From a range of 15 yards both rounds will hit a target about the size of an orange, making it perfect for hunting dangerous citrus fruits.